This is a colorful and sturdy western shirt. 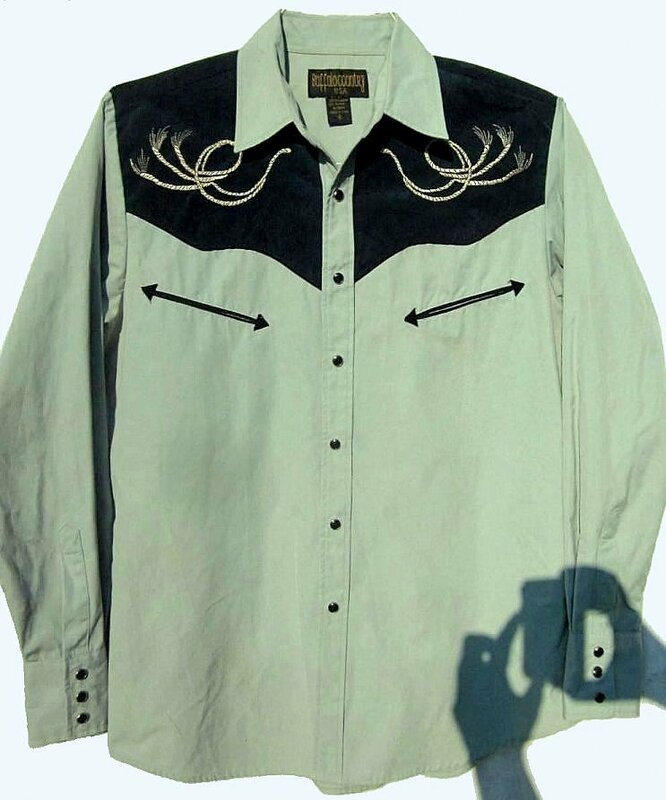 Western shirts were quite popular in the 70s. This shirt is a mint green color with a dark green faux velvet at the top and back yoke. 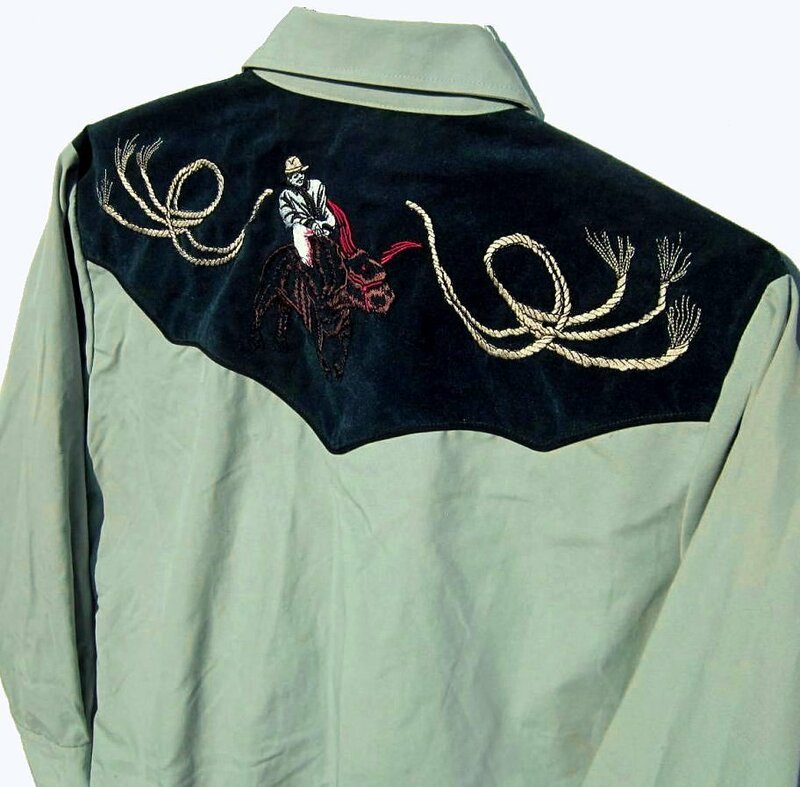 There is goldish colored embroidery on the front and back as well as a bull rider on the back. The shirt has never been worn, but it has been washed. It is 43" around at armpit level for a 38 - 40 fit chest. Shoulder and sleeve length are that of a Small Fit Shirt as the shoulder is 18". The total sleeve length is approximately 30.5". Shirt Length is 28". The fabric is 70% polyester and 30% cotton. The shirt is machine washable inside out on gentle. Hang dry. Dry cleaning is fine as well. The shirt is quite sturdy.